It's 1230AM as I start this. I was out the door at 730 AM and back in at 11PM. I have to do this all over again on what is now today. It was a day where I met friends, got Chocko on the red carpet and completely missed John. CUTIE AND THE BOXER - Portrait of Ushio and Noriko Shinohara and their 40 years together. As Ushio paints and sculpts Noriko creates a graphic image series based on their lives. If you like films on art and artists this is gangbusters. HOW TO MAKE MONEY SELLING DRUGS- darkly cynical film about selling drugs is told as a video game how to guide with each part a level. An excellent film that surprised the hell out of me . The only flaw is a weird tonal flip in the second half. There is much to discuss and I will down the road. 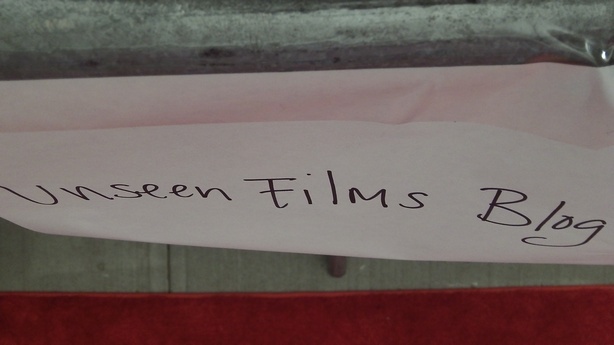 I went to the world premiere of RAW HERRING. Apparently they only finished it yesterday. A very good film that has fishing and sea set sequences that MUST be seen on the big screen. In talking to some of the PR people on the Lil Bub red carpet they said that the first 2 nights were over packed with world premieres with the result that not everything is getting covered. I guess this explains why this visually amazing film was under attended. Say what you will about the film as a whole, the sea stuff will blow you away.